After many years of all glitzy Christmas decorations, I think I’m going with a more natural, vintage theme in the sunroom. I remember seeing some owl decorations last year at Pottery Barn and just fell in love with them. It’s really neat to use an old container as the tree base such as this wash tub. Or maybe a small tree in an old enamel bowl. You can’t get much more in touch with nature than using a farm theme! When you throw in some vintage pieces, you just can’t go wrong! 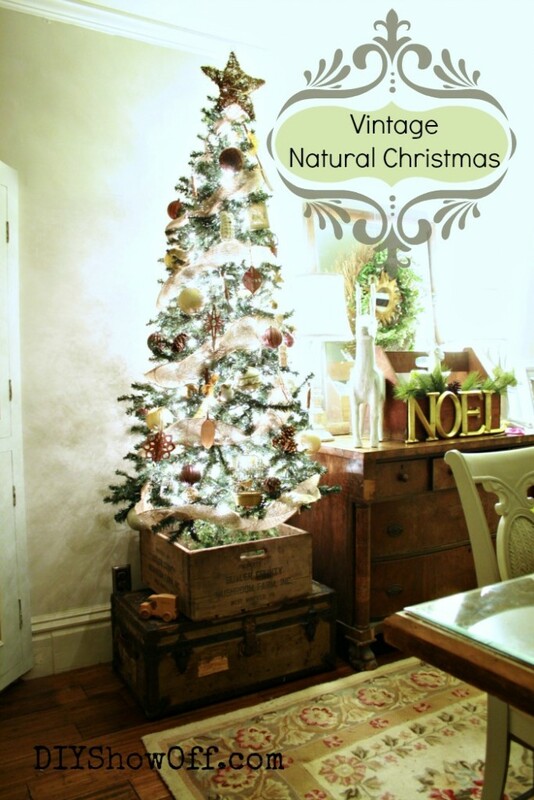 I think I am doing the naturals and Rustic Old finds and I love the banner in that first tree. How did you make that ? LOVE It all . They are all just perfect. A big yes, tammy! I'm done with my indoor decor and this year I'm doing green and gold! Will start sharing by next week! Can't wait to see your tree! I just love all of these ideas! I am seeing owl ornaments everywhere as well as the containers for the tree (about time they thought of that!). I can't wait to see your pretty rooms! I'm very much with you this year, I'm not into all the glitter this year. Ready for a change! I love your inspiration photos! I see some things I'd like to try. Can't wait to see yours. Love the owls! I am so bad at decorating Christmas trees. I'll see one I love and try to recreate it and it just never looks right so I just stick to lights and ornaments. I wish I had more talent for Christmas tree decor! I love all of the trees! 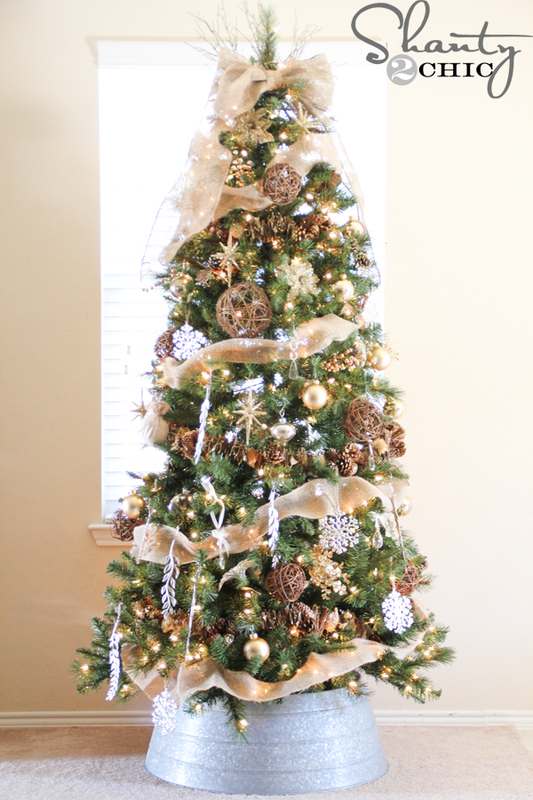 I'm with ya, I've done bling for many years for my living room tree and this year I'm wanting to change things up a bit. Can't wait to see what you come up with! I luv the trees... I am still in the planning stages and am enjoying the inspiration. Love, love this look! Beautiful inspiration!